After breaking for Winter Cup, 18 programs are back in action this weekend with seven collegiate meets on tap. The weekend’s marquee matchup has Michigan traveling to Norman to give Oklahoma its toughest matchup of the season so far while Navy will try to continue to surprise us all by taking down a Big Ten team on the road. Why You Should Cancel Plans For It: This should be Oklahoma’s toughest matchup left before the postseason hits, as Michigan has surged to a top three ranking after having posted no scores below 400 thus far. The Wolverines’ top score of the season is just above the Sooners’ average, meaning if Oklahoma is not on top if its game, Michigan will be ready to pounce. 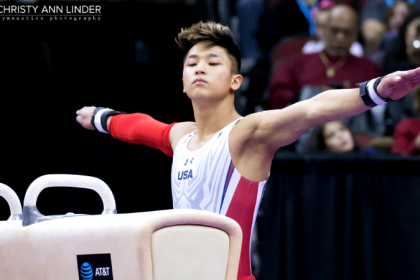 Seniors Yul Moldauer and Genki Suzuki were just named U.S. national team members for OU last weekend but will face stiff competition from Michigan’s Cameron Bock who has posted the NCAA’s top all around score this season. What Else You Should Know Before Tuning In: Both these teams had high finishers at last weekend’s Winter Cup. Moldauer was victorious in the all around while Michigan’s Jacob Moore finished second on floor. Why You Should Cancel Plans for It: Although this is the sixth meeting between the two schools this year and Stanford has won all previous five, there is still plenty to watch in this meet. 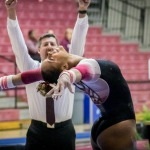 California keeps getting better each week as freshman Darren Wong gains more experience and is now hitting routines like a veteran, and Stanford, only a few tenths behind Oklahoma in the rankings, will be doing everything it can to put up higher scores than the Sooners. 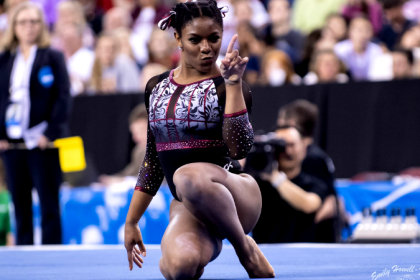 What Else You Should Know Before Tuning In: As part of the International Collegiate Open, athletes from Japan will be competing alongside the two NCAA programs. We’re not sure which Japanese athletes will be competing, but any bonus routines from international athletes during a college meet is a treat. Why You Should See the Error of Your Ways: This meet will be full of strong individual performances along with what should be a tightly contested team race. Navy has had an outstanding start to its season and is ranked just behind Penn State. The Nittany Lions will need a big performance at home to fend off the Midshipmen who will be itching to knock off a Big Ten team. 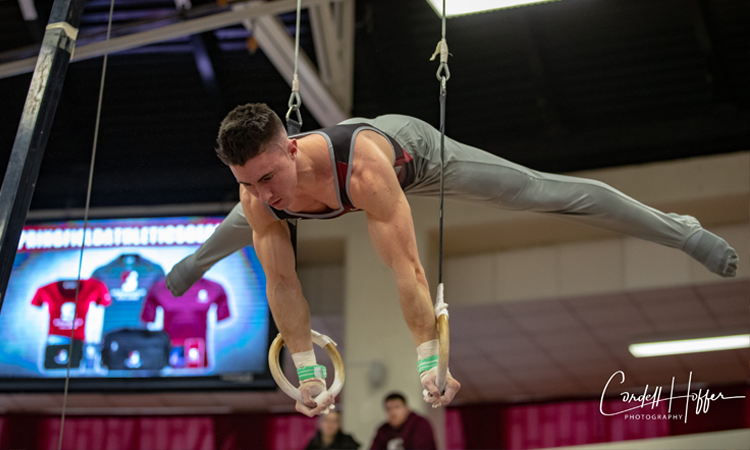 Sam Zakutney can be the force that Penn State needs, but he will face a battle on high bar where former top ranked high bar gymnast Lukas Texeira of Air Force will try to swing back to the top after a fall in his last meet look him off the top spot. Penn State can also rely on Stephen Nedoroscik, who just won the Winter Cup title on pommel horse last weekend and earned himself a stop on the U.S. national team. Why You Should Clear Space on Your DVR: With both Big Ten teams entering this meet with 1-1 conference records, they both need a win to stay close to Michigan at the top of the standings. Nebraska has been a bit inconsistent to open its season but will hope to record a second consecutive score over 400 for the first time this season and in front of its home crowd. Minnesota is on the other end of the spectrum, breaking 400 its past three meets after faltering slightly at the Windy City Invite. While UIC will likely not factor into the team race, individuals like Kaleb Booth and Sam Montague will have a chance to steal some event podium finishes.